Gold medal at prestigious absinthe festival in France! 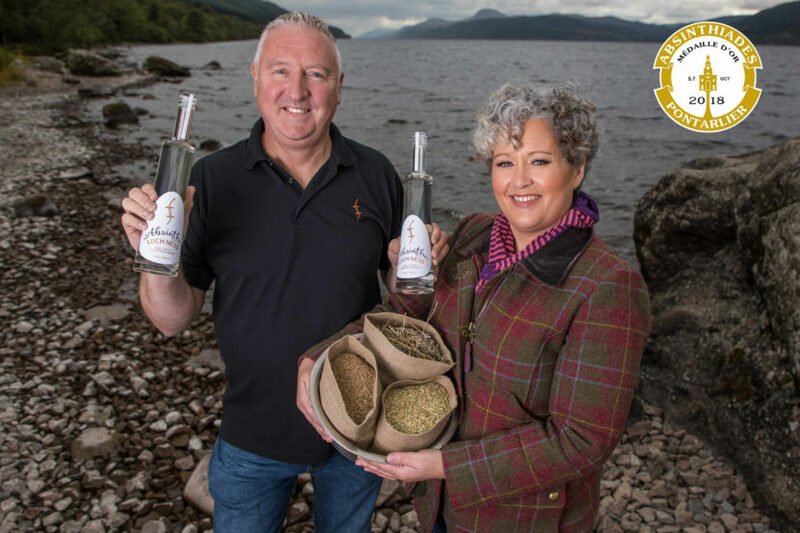 Loch Ness Spirits has become the first company in the UK to win a gold medal at prestigious absinthe festival in France, Absinthiades in Pontarlier. Loch Ness Absinthe blanche is distilled using homegrown botanicals, including wormwood, on the banks of Loch Ness by Lorien, who is also the first-ever female distiller to win a medal in the history of the competition. Our director Lorien, who first visited Pontarlier in August 2017, has always enjoyed the drink and recognised a gap in the market for one made in Scotland. Loch Ness Absinthe was up against 25 entries in the competition, split into Verte and Blanche categories, with three panels of judge’s blind tasting each one; professional jury, public jury and VIP jury, over a three-day period.